Doc and I have been discussing the effects of shorting, naked CDS shorting, and put options as has been the topic of conversation on some blogs and forums lately. We both have come to the conclusion that companies that are legitimately strong will ultimately be able to defend any “attack” that may occur. 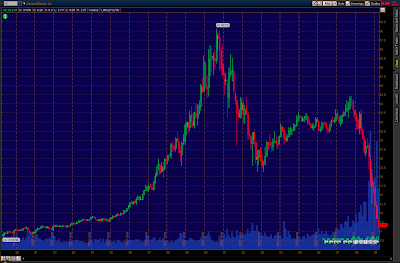 For example, let’s look at Boeing versus GE. Two very large companies, both with large and diversified manufacturing bases… Although BA has been hammered all the way from a bubble high of $102 down to $30, they never got deeply involved in trying to finance everything in the world including mortgages. In fact, Boeing doesn’t really as a matter of course finance aircraft sales either. GE Capital is the one who does that. While Boeing is building aircraft and military hardware, GE is building aircraft engines, electrical controls, windmills, military hardware and many other productive enterprises. So the question is this; can the bad debt within GE Capital really bring a zero net worth to the company? The answer is sure it can! Some people are looking at it like GE Capital is completely separate and that they can be zero while the other components of GE are worth something. 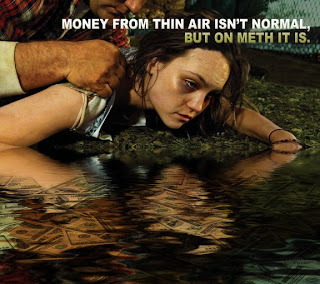 No, the financial component can be worth way less than zero, and in this case it probably is. In other words, GE’s total liabilities could very well exceed the value of other components. How do we know? That’s where transparency comes in – we don’t. In fact we’ve learned that GE has only taken write downs on 2% of its total portfolio, much less than the rest of the financial industry. Now, if I’m writing CDS on GE or BA, since I don’t know what GE has hiding in there, I’m going to want more for GE CDS than I do for BA. Yes, speculators come in and put further pressure on those rates which makes borrowing much more expensive and thus can choke a company off. But guess what? That is exactly what should happen to a business that is overleveraged… rolling over debt should be more expensive. No, no one wants to see any big business fail. BUT, in my opinion keeping them propped up isn’t doing the overall economy any favors in the long run. After this disaster, businesses will look upon aggressive leveraged financing from a completely different light, that’s for sure (at least those who are still around). It just pains me to see total BS. The reality is even if you banned ALL short selling and/or buying of puts the market will still be in roughly the exact same place one year from now as it will be with shorting allowed. Market prices over the long run are determined by long run supply/demand for stocks. Shorting by its very nature is a short-term bet and has zero effect as the shares are always eventually given back (even if it's in bankruptcy court). And it is impossible to short a good company to zero. If there is value in a stock the market will ALWAYS find it. Every single case in history of a stock being "unfairly" shorted to zero is always proven wrong when the autopsy is done in bankruptcy court. How much was LEH worth again when you got to look under the hood? GE needs to shut the hell up about the share price and figure out how to handle their CMBS book amongst other big problems. Run the business right and the value will always show up over the course of time. I also have those bear market stats for the end of the week. 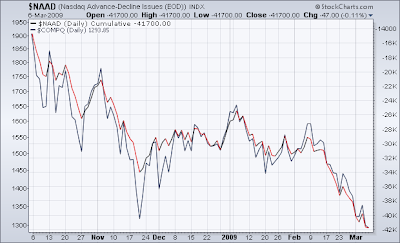 Thus far the bear market has lasted 514 days with the Dow having fallen 7566 points in that time. That works out to almost 15 points a day, about 2 points every 3 hours. That's the size of the sword you are trying to catch if you are thinking about going long here for the longhaul. 2 points every 3 hours, 24 hours a day, 7 days a week, 52 weeks a year, every single day, even on Christmas and your birthday. And in case you think prices are low and they can't go much lower, the losses have actually been accelerating the last 6 months on both a percent and relative basis. The blade is falling even faster now. Nice chart and stats. Amazing that we’d have to rally that far just to get to the Great Depression decline. 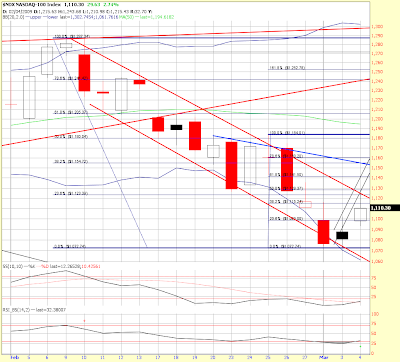 I note that a 61.8% SPX market loss will occur at SPX 601ish. So Doc, what do you really think of Luskin? LOL, that sounds about how I would describe Larry Kudlow who is completely warped, doesn’t understand the situation or math at all, and spews forth as if he is THE market authority… how dare the markets not do what he thinks they should! It looks like Luskin and Short began their timelines from slightly different points, but the net result is pretty close. 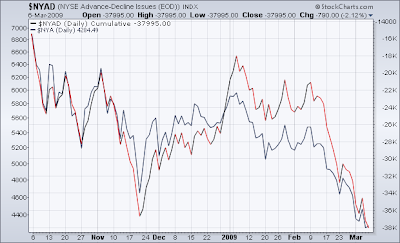 Luskin is using the SPX while Short is using the DOW. The remarkable thing about this is the time perspective. We’re only about 18 months into our declines so far. 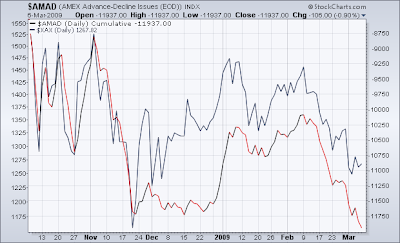 If we only match the time of declines of the other bears (average 30 months when including Nikkei 1990), what will our price level be when we reach THE bottom? Yesterday was 3/6/09 and stock prices were sent back to the year 1996 – 13 years ago. 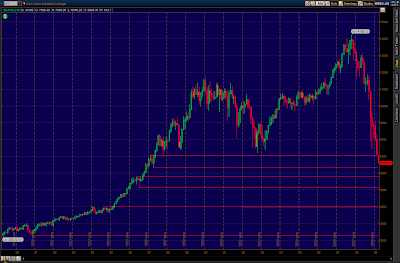 The SPX hit a low of 666 and GE had a low of $6.66! “Nawww,” I thought… "that can’t actually be the low of the day! Can it?" Well, it was, and the only guy I know who was brave enough to go long on that low (and announced it as he was doing it) was Seth. Now, we all know Seth as a self-titled moonbat… but I think of him as a “curved” or non-linear individual. A lot of artists would fit into that category, my own mother is one, that’s how I recognize it! Most people in America are linear by nature – that would be my father. Me? Mostly linear, but a little of curvy got in there too, that’s why I understand Seth. He recognizes patterns and boy have there been some in this bear market! So, I was going to Econotune this update with Boston – “The Launch” in honor of the last minute rocket shot reversal (linear me), but instead I’m going to go more Seth on you here and present some tunes that were officially released early in the year 1967, but were likely first written in the year 1966, thus keeping his string of ones, sixes, and nines alive. Here’s a classic, fitting because the bulls have seen a horrific decline over the past couple of months… one I’m sure that has left them a whiter shade of pale. And I’ll bet they were looking pretty white as the DOW sunk down to its low of the day, beneath 6,500, touching 6469.95 (sixes and nines) before rocketing back up at the end of the day to close at 6626.94, a GAIN of 32 whole points! 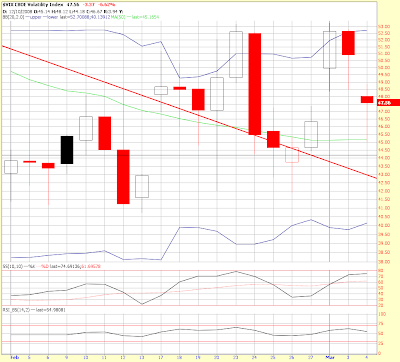 The SPX finished the day after that 666 low UP a fraction (.1%), while the NDX LOST .9%, and the RUT gained .5%. 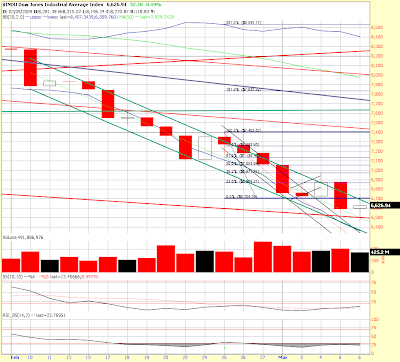 The XLF lost 1%, and the Transports had yet another down day losing 2.1%, now down 41% in the past 9 weeks. 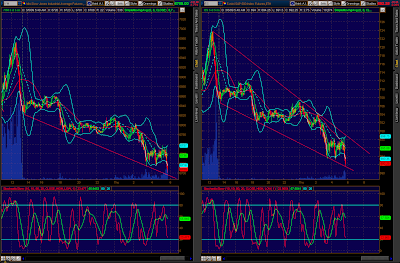 Internally, there were some divergences with the green close. The NYSE, which closed up slightly (.4%), had declining issues ahead of advancing by a 19 to 11 margin, and 52% of the volume was down. 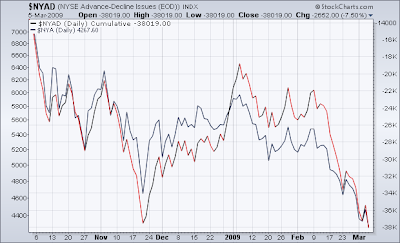 New highs also diverged against prices, rising to 827 on the NYSE. So, the question becomes, was the rocket shot at the end of the day a reversal or not? Well, it certainly was not what you would call a Key Reversal as we did not finish above the prior day’s candle and heck, some of the indices didn’t even make it back into the green. But it did put some doji candlesticks on the charts and those can sometimes be bottom markers (used here I am talking about a short term bottom, not THE bottom). Those dojis usually indicate indecision, and the truth is that this one follows a 90%+ down day… heck, I would not have been at all surprised by a substantially positive day which Friday was NOT. Thus, I will state right here that I cannot tell if Friday produced a reversal that will hold for awhile, it NEEDS CONFIRMATION, by proceeding higher from here. Compared to other reversal candles, this one is weak and not even in the same category as the prior ones over the past year that have stuck for awhile – especially considering candles like that on the Transports that doesn’t look anything like a reversal. Big reversals look that way across all the indices – this one does not, that’s because there was NO NEWS, no change of fundamentals at all that would change the underlying fundamentals nor the underlying psychology. Remember the Bear Stearns save day? Fear spiked and then we were “saved!” This produced a clear reversal candle across all the indices. Heck, this time I don’t even see a spike in fear, at all. The Put to call ratio finished down at .87 (neutral but leaning bearish because too many are bullish), and the VIX finished down 1.7% and has yet to really break out of its range despite two months of declines. Wave 5 resignation? Perhaps. Wave 3 was much more sharp and laced with fear, whereas this is more of a grind, yet hugely damaging in terms of percentage and wealth destruction. Heck, my own Martin/Mann Reality Index shows that $3 trillion worth of wealth has been destroyed in the U.S. markets just since the beginning of the year. How much has been destroyed world wide? That’s why the government’s actions cannot take root until the deflationary forces have run their course (chart is currently being worked on and improved - thanks Josh). At the end of each week I usually will show you the weekly candle, but this week I’ll just describe it as being a big red one on all the indices that was pretty close to closing on its lows, overall. On the week the SPX lost 6.3%. 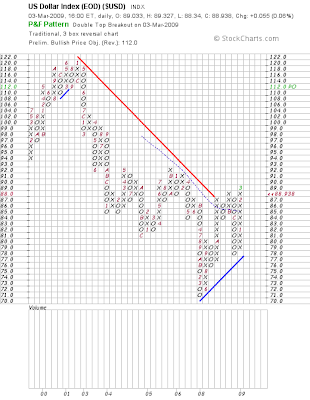 The last chart I want to show is a P&F of oil. On Friday it produced a positive breakout and a bullish target of $60 a barrel. 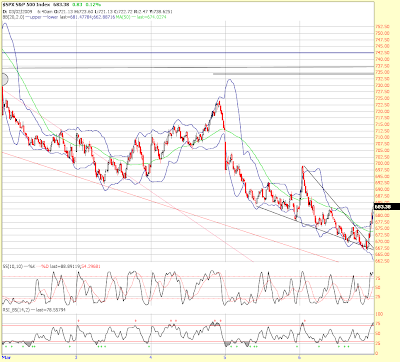 Overall, I see the potential for wave 3 of 5 to be over. 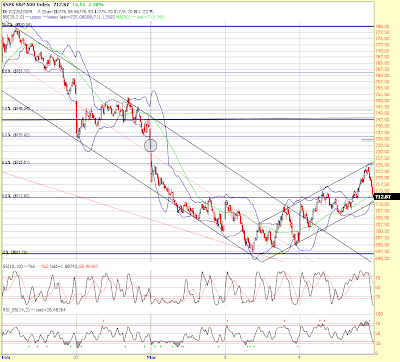 If so, we should move up/sideways for a couple of weeks to etch out a wave 4 which should be followed by wave 5 of 5. We need immediate follow through for that to be the case. 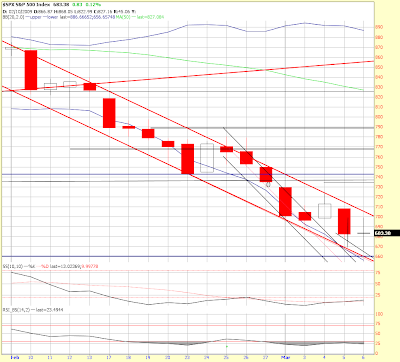 Otherwise, we are still in the channel and may have further to go before 3 of 5 completes. I was conversing with Seth about his love for poetry (he likes Jim Morrison for that) and I mentioned that I also appreciate musicians that can put poetry to music - definitely a rare and difficult art form to get right, something that is probably not fully appreciated. One of my favorite songs is the Moody Blues “Nights in White Satin.” The song was officially released in 1967, but had some difficulty getting to market as it was more than seven minutes in length. The recording industry doesn’t like songs that long, of course, because they don’t fit radio format (and they exceed the attention span of most people). So, they did two versions, the long one with the poetry at the end, and a short one without. The short one is what most people hear, but it’s the last two minutes of the extended version that I think are the best (btw, I've seen them several times in concert, the last was 15 years ago at the Puyallup Fairgrounds, WA. This song is one of my top all time classics). Every week another one bites the dust – or two, or three, or four. Yesterday it was only one – appropriately it was Freedom Bank that failed. How fitting that a bank that propagates and survives from the issuance of debt would name itself “Freedom” only to die because it had issued so much “freedom” that people couldn’t pay it all back. March 6 (Bloomberg) -- Freedom Bank of Georgia was seized by regulators, the 17th bank closed this year, as the recession persists and a jump in unemployment pushed more borrowers behind on home loan payments. 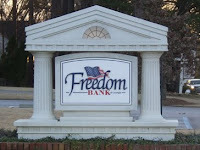 Freedom Bank, in Commerce, Georgia, with $173 million in assets and $161 million in deposits, was shut by the state’s Department of Banking and Finance and the Federal Deposit Insurance Corp. was named receiver. 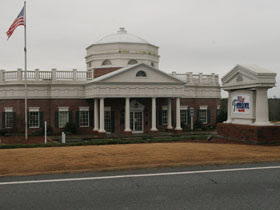 Northeast Georgia Bank of Lavonia, Georgia, will assume deposits, the FDIC said. “Customers of both banks should continue to use their existing branches until Northeast Georgia Bank can fully integrate the deposit records of Freedom Bank of Georgia,” the FDIC said. Closely held Northeast Georgia Bank will buy about $167 million in assets at a discount of $13.7 million and the bank agreed to share with the FDIC in any losses on about $96.5 million in assets. The FDIC estimates the transaction will cost the deposit insurance fund, supported by fees on insured banks, about $36.2 million. FDIC-insured banks lost $26.2 billion in the fourth quarter, the first loss for a three-month period since 1990. U.S. banks and other financial companies have reported about $800 billion in writedowns and credit losses since 2007 in the worst financial crisis since the Great Depression. “There is no question that this is one of the most difficult periods we have encountered during the FDIC’s 75 years of operation,” FDIC Chairman Sheila Bair said at a news conference on Feb. 26 after the industry report was released. The FDIC predicted that bank failures will cost the fund $65 billion through 2013, up from the $40 billion estimated in October. The fund, drained by 25 bank shutdowns last year, dropped 45 percent to $18.9 billion in the fourth quarter from $34.6 billion in the preceding three-month period. The Washington-based agency classified 252 banks as “problem” in the fourth quarter, a 47 percent jump from the third quarter. It doesn’t name the “problem” banks. The FDIC approved a one-time emergency fee of 20 cents per $100 of insured deposits on banks to bolster the insurance fund at a board meeting on Feb 27. Bair wrote a letter to Senate Banking Committee Chairman Christopher Dodd, saying she may cut the new levy if lawmakers expand the amount of credit the agency can draw from the Treasury Department. Dodd, a Connecticut Democrat, introduced a bill to permanently raise the FDIC’s borrowing authority from Treasury to $100 billion and temporarily increase it to $500 billion through Dec. 31, 2010. The House of Representatives this week passed a measure that would triple the FDIC’s credit line to $100 billion and permanently raise the deposit-insurance limit to $250,000. The FDIC prompted a banking industry outcry over the new assessment. Camden Fine, president of the Independent Community Bankers of America, said on March 3 he’s received more than 1,000 messages from executives complaining that the one-time fee could significantly reduce 2009 earnings. I’m developing less and less sympathy for the banks as this crisis deepens, not that I had much to begin with. They are now borrowing money at near zero and yet are charging usurious rates to their customers. The big banks, and smaller ones, permeated the globe with debt and now they are choking on it. Too bad. The banks have run amok. They create credit at will and without limit which people have mistaken for money. But it’s not money, it’s debt that must be repaid and serviced with future earnings. ALL of America’s future earning have been pulled forward in time – all of it. That’s what the math says. Please consider Death by Numbers. Thus, the system will not survive in its present form, change of some type is coming – major change. And as shocking as this sounds, that major change can’t come fast enough from my perspective. Bring it. I know, “be careful what you ask for.” I am. I want the central bank returned to the people to whom it rightly belongs. I want a money system that is based upon productivity, not debt. I want people like Madoff behind bars, but then again, I also want to see traitors like Paulson and other central bankers behind bars. Radical? We are living a mass psychosis where people who rob billions from the people are allowed to live in multi-million dollar penthouses, while those who rob thousands out of desperation are locked up for years and years. Not that I condone bank robbing or especially violence, but look at the treatment this “average guy” is getting for robbing a bank – 30 years and they are going to make an example of him! So, he'll get 30 years, meanwhile the greatest robbery in the history of mankind is transpiring by the very people whose money is used to influence politicians and write the laws that prevent the use of alternate currencies, “counterfeiting” (which is exactly what they do – study the history of money and our Constitution), and they of course must make an example of any direct attacks on their system. Again, yes, bank robbers deserve jail time, but no, they don’t deserve more jail time than the white collar mega criminals. The economic and criminal justice system is clearly practicing favoritism on all levels. This type of thing can go on for quite some time, but at some point the people won’t stand for it. Desperate people do desperate things. This is a trend that you will see more of and requires your serious attention. 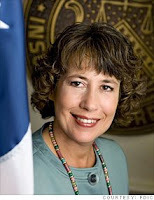 A bill introduced in the Senate would give FDIC chief, Sheila Bair, a huge loan to handle 'emergency situations' in the banking sector. NEW YORK (Fortune) -- The government is bracing for a big bank failure. A bill introduced in Congress would give the FDIC, the agency that stands behind Americans' bank deposits, temporary authority to borrow as much as $500 billion from the government to shore up the deposit insurance fund. The bill -- the Depositor Protection Act of 2009, backed by Senate Banking Committee Chairman Chris Dodd, D-Conn. and Sen. Mike Crapo, R-Idaho -- wouldn't change the status of individual bank accounts, which through the end of this year are insured up to $250,000. But the Dodd-Crapo bill acknowledges what the financial markets have been signaling for the past month -- that the government must take the lead in a costly cleanup of the mess in the financial sector. "I think it's a commendable start," said Simon Johnson, a former International Monetary Fund chief economist who tracks the crisis on his BaselineScenario.com blog. Dodd said he introduced the legislation at the behest of other regulators, notably Federal Deposit Insurance Corp. chief Sheila Bair, Federal Reserve Chairman Ben Bernanke and Treasury Secretary Tim Geithner. All three recently wrote Dodd to support an emergency expansion of the FDIC's capacity to borrow from the Treasury. "This mechanism would allow the FDIC to respond expeditiously to emergency situations that may involve substantial risk to the financial system," Bernanke wrote in a Feb. 2 letter to Dodd. The Senate bill is being introduced at a time of rising market stress about the health of the banking industry. Seventeen relatively small banks have already failed this year and 25 went under in 2008. Last year's failures included the July demise of mortgage lender IndyMac and the September collapse of Washington Mutual, which was the sixth-biggest depository institution in the nation at the time it failed. Shares of Citigroup (C, Fortune 500), the giant financial company that last week received a third round of government aid, have fallen 58% since the government outlined a plan to convert the bank's preferred shares to common stock. The stock even dropped below $1 Thursday. The Citi plan aimed to ease market concerns about the bank's health. But fears have only increased, judging by the swoon in financial stocks this week and the sharp rise in the cost of protecting financial-sector debt against default. The Credit Derivatives Research counterparty risk index -- a measure of the annual cost of insuring the bonds of 14 global financial companies against default -- surged nearly 30% this week as investors rushed to protect themselves against possible defaults at giant institutions. It now costs an average of $289,000 per year to buy insurance on $10 million's worth of bank debt, according to the CDR index. That's just shy of the $300,000 average premium in force the day the index hit its all time high -- Sept. 17, 2008. That was the day after the government's $85 billion first bailout of AIG (AIG, Fortune 500), two days after the failure of broker-dealer Lehman Brothers and a week before WaMu was seized by regulators. The current degree of stress in the financial sector is "totally shocking," said Johnson, given the massive resources governments around the globe have devoted to reducing fears of a major collapse. The financial fears point to the need for the Obama administration to produce a detailed plan of how it will deal with troubled too-big-to-fail institutions and bad assets in the banking sector, said Johnson, who teaches in the business school at MIT. "If you don't do a systemic plan fast, you set up a target for speculators," said Johnson. The market's reaction to Geithner's failure to produce an adequately articulated proposal as promised on Feb. 10 stands as a cautionary tale. The Dow Jones Industrial Average has dropped 20% since then. The insurance that the FDIC provides to bank depositors is funded by annual assessments on banks. But the fund has been depleted by a sharp rise in bank failures over the past year, and efforts to raise the fees that support the deposit fund have been complicated by the poor health of the banking industry. The deposit fund's balance fell 64% in 2008 to $19 billion, putting deposit fund assets at just 0.4% of banking industry assets. That's barely a third of the 1.15% statutory minimum. Despite the welcome signs that policymakers are coming to grips with the extent of the U.S. banking crisis, observers say officials have yet to make clear that they fully grasp the scope of the financial industry's problems. A $500 billion loan to the FDIC "begins to approximate the maximum loss from resolving the top four banks," said Chris Whalen, a managing director at Institutional Risk Analytics, a financial research and hedge fund advice firm. The five biggest U.S. bank holding companies - Bank of America (BAC, Fortune 500), Citi, JPMorgan Chase (JPM, Fortune 500), Wells Fargo and Wachovia, which is now owned by Wells - had domestic deposits of between $271 billion and $701 billion at the end of the second quarter of 2008, according to the most recent data available from the FDIC. With credit costs, which reflect expenses tied to bad mortgage and credit card loans, on the way to doubling the levels reached in the 1991 recession, Whalen expects the cost of fixing troubled banks to hit $1 trillion. Whalen adds that he believes regulators may have to swing into action in coming weeks. With bad loans rising sharply even at the better managed banks, the next round of financial reports from the most troubled banks, due out in April, could be truly horrific. "Does anybody really want to see Citi's first-quarter numbers?" Whalen said. The FDIC cannot possibly extract enough in fees from banks that are failing to cover their own losses. The guarantees are false, the money behind them is not there. Thus it is yet another circle jerk Ponzi scheme. In the end, the guarantees come from the taxpayers. Who are the guarantees protecting? The same taxpayers! Who will ultimately pay for higher FDIC fees? The Taxpayers! Who owes all the debt at all levels, personal, corporate, and governmental? The Taxpayers! The same 305 million people owe it all and the math simply doesn’t work. All attempts to use more debt money to bail out the system is circular. Like all Ponzi schemes, this one, too, will fail. No, the world won’t end, but change is coming. Someone did a creative job of tying together Batman’s Joker (the late Heath Ledger) with the current economic wreck. Five minutes of Friday night entertainment – hat tip Seth for finding this. For all those who might believe that “funny business” may be happening with the markets, look no further than the cockroaches now seeing the light of day inside of Merrill which is now inside of Bank of America (BAC). Oooh, that smell… can’t you smell that smell? I think it’s the smell of rotting derivative and debt corposes! Most the fraud is now consolidated inside of BAC, JPM, WFC, and GS. These companies permeated the globe with trash and have had government backing to help them consolidate and hide what’s been going on. But when the Ponzi is over, you can’t hide forever – and remember, where this is one cockroach there are a thousand more behind the wall. March 6 (Bloomberg) -- Merrill Lynch & Co., the securities firm acquired by Bank of America Corp., said it uncovered an “irregularity” during a review of its trading operations. The bank informed regulators immediately of the discrepancy in “certain trading positions”, Merrill Lynch said in a statement from London today. The bank said it’s working with the authorities to investigate further. A spokeswoman for the bank declined to comment further. Merrill Lynch may have lost hundreds of millions of dollars on currency trading and credit derivatives last year, the New York Times reported earlier today. The losses did not “spill into plain view” until after Bank of America investors had approved the $33 billion takeover in December and Merrill Lynch disbursed $3.6 billion in bonuses to bankers, the newspaper said. Bank of America later sought additional government funding. “Senior managers of the business are focused on the issue and believe the risks surrounding possible losses are under control,” Merrill Lynch said in the statement. Bank of America Chief Executive Officer Kenneth Lewis is trying to rein in Merrill’s traders after their losses brought the bank to the brink of collapse, the New York Times said. “It was always going to be extremely difficult to integrate a retail bank like Bank of America with an investment bank like Merrill because the cultures are so different,” said Richard Staite, an analyst at Atlantic Equities LLP in London. He has an “underweight” rating on Bank of America’s shares. Many of Merrill’s top executives have left since Bank of America’s takeover, including CEO John Thain, Greg Fleming, head of investment banking, and Robert McCann, who led the wealth- management unit. The bank’s markets division is run by Thomas Montag, 52, who Thain hired from Goldman Sachs Group Inc.
Three weeks ago, risk officers discovered that a London currency trader who had recorded a trading profit of $120 million for the fourth quarter may instead have lost a large amount, the New York Times said, citing an unidentified Bank of America executive. The newspaper identified the employee as Alexis Stenfors, 38. He told the New York Times the matter was a “misunderstanding” and is co-operating with the probe. He remains a Merrill Lynch employee. Calls to his office in London and mobile phone from Bloomberg News weren’t answered. British regulators are also examining the employee’s trades, the newspaper said. Joseph Eyre, a spokesman for the Financial Services Authority, declined to comment when telephoned today. Bank of America, based in Charlotte, North Carolina, posted its first quarterly loss since 1991 in January and cut the dividend to a penny after receiving $138 billion in emergency government funds to support the Merrill takeover. The fourth- quarter loss of $1.79 billion compared with net income of $268 million the previous year. The bank is cutting as many as 35,000 jobs to reduce annual costs by about $7 billion. The shares have plummeted 88 percent in New York trading since the Merrill acquisition was announced in September, falling to the lowest level in almost two decades in February. The stock dropped 12 percent in New York trading yesterday to $3.17 for a market value of $20.3 billion. Does anybody really think that that Merrill contains the only cockroaches? I don’t, Wall Street and the Federal Reserve are permeated with them. And, in case you missed it, here’s Hoofy & Boo asking, “What would John Thain do? Futures zoomed on the Employment situation release this morning, the data was bad, but not horrific enough, evidently, to cause more panic selling. 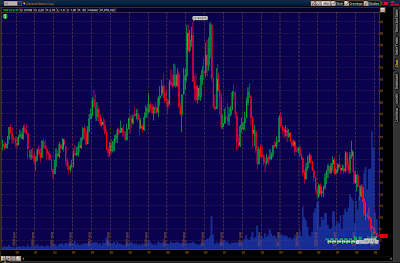 Instead we got a knee-jerk buy response and now we get to see what the market really wants to do from here. It’s an important crossroad… we’re deeply oversold so we either move sideways within the channel and collapse or we break overhead resistance and begin forming the larger wave 4. Doc and I see the count as having finished or being close to finishing wave 5 down of 3 down of 5 down. It could be, however, that we actually only are just beginning wave 3 of 3 of 5 with that wave starting yesterday. We’ll likely know by the market action the rest of the day. If we get above the 696 – 702 area then we’re likely beginning wave 4, otherwise we’ll still be in the channel and treat it as such. By the way, what do you think happened to Dr. Sanja Gupta’s nomination for Surgeon General? Skeptical Nate is guessing tax problems… domestic help, perhaps? Maybe they actually performed a vetting process for once? And what’s that smell coming from BAC? Is that the smell of Merrill Lynch carcass? The rot, it seems, was hanging out in the trading department. NO? REALLY? And I’ll bet all the other investment banks and hedge funds are completely different, don’t you? I’ll post that article in a minute. March 6 (Bloomberg) -- The U.S. unemployment rate surged in February to the highest level in more than 25 years and the economy lost more than 600,000 jobs for a third consecutive month, pointing to further reductions in spending. Payrolls fell by 651,000 and revisions for the prior two months lopped off an additional 161,000 jobs, the Labor Department said today in Washington. The jobless rate surged to 8.1 percent, more than forecast and the highest since December 1983. Tumbling demand globally is prompting companies from General Motors Corp. to Sears Holdings Corp. to step up firings, perpetuating a vicious circle of job losses and spending cuts. The Obama administration has set aside immediate concerns about a budget gap and pushed through a $787 billion stimulus plan aimed at creating or saving 3.5 million jobs. The payroll drop in January was revised up to 655,000 from 598,000 and December now shows a 681,000 drop, up from the 577,000 previously estimated. The December decline was the biggest since October 1949. The U.S. economy has now lost almost 4.4 million jobs since the recession began in December 2007, the biggest employment slump of any economic downturn in the postwar period. Payrolls were forecast to drop by 650,000, according to the median of 80 economists surveyed by Bloomberg News. Estimates ranged from losses of 500,000 to 800,000. The jobless rate was projected to jump to 7.9 percent. Forecasts ranged from 7.8 percent to 8.1 percent. Today's report showed factory payrolls fell by 168,000 after declining 257,000 in the prior month. Economists forecast a drop of 200,000. The decrease included a loss of 25,300 jobs in producers of machinery and 27,500 in makers of fabricated metal products. Automakers, at the heart of the manufacturing slump, continued to slash jobs and trim costs to stay in business. General Motors last month said it would cut 47,000 more positions globally while Chrysler LLC announced 3,000 more layoffs. Auto-parts makers are also suffering. Canton, Ohio-based Timken Co., the supplier of bearings to the world's top five carmakers, said March 2 it would eliminate as many as 400 salaried jobs this year. Service industries, which include banks, insurance companies, restaurants and retailers, subtracted 375,000 workers after cutting 276,000. Financial firms cut payrolls by 44,000, after a 52,000 decline the prior month. Retail payrolls decreased by 39,500 after a 38,500 drop. Sears last week said it would shutter 24 stores, on top of eight closings announced earlier, after its fourth-quarter profit fell 55 percent due to weak holiday sales. ``This past year was a very difficult year for the world economies and for retail in the United States, and 2009 needs to be the year of restoring confidence and trust in our financial system,'' Sears Chairman Edward Lampert said in a letter to shareholders. Payrolls at builders fell by 104,000 after decreasing by 118,000, as home sales and prices continued to tumble. Government payrolls increased by 9,000 after a gain of 31,000 the prior month, one of the few areas still hiring. Another 26,000 jobs were added by education and health providers. Employers are holding the line on hours. The average work week held at 33.3 hours in February. Average weekly hours worked by factory workers dropped to 39.6 hours from 39.8 hours, while overtime also decreased to 2.6 hours from 2.8 hours. That brought the average weekly earnings up by $1 to $615.05. Workers' average hourly wages rose 3 cents, or 0.2 percent, to $18.47 from $18.44 the prior month. Hourly earnings were 3.6 percent higher than February 2008. Economists surveyed by Bloomberg had forecast a 0.2 percent increase from January and a 3.8 percent gain for the 12-month period. Bankruptcy filings for individuals and companies surged 37 percent in February to more than 103,000, according to data compiled by Automated Access to Court Electronic Records, a service of Jupiter ESources LLC in Oklahoma City. Slumping sales have caused recent Chapter 11 filings by retailers such as Everything But Water LLC, the largest U.S. retailer of women's swimwear, and Ritz Camera Centers Inc., the largest chain of camera stores. Economists polled by Bloomberg last month forecast consumer spending will contract through the first six months of this year after sliding in the last half of 2008. 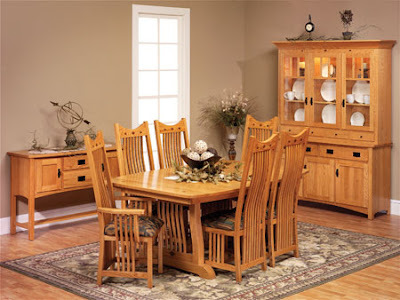 Purchases have not contracted for four consecutive quarters since records began in 1947. The General sees the battle for what it is, and doesn’t let emotions get in the way. He knows that although he’s been winning battle after battle, his troops are getting weary and that the bulls may try to take the momentum back. The moves were tricky the last couple of days, but after today it's clear the bears are still firmly in control. For how much longer is now the big question. I can work a count that may offend some EW purists (but fits very well within how the momentum channels often spell out the waves) that says today was it for wave 3. The reason I say it fits well with the channels is most of the wave points either tap the outside boundaries or midline of the channel in a symmetrical way between the 2 and 4. I'll be the first to admit this count could be wrong. We could still be somewhere in the middle of the decline that started at 880 almost 3 weeks ago and as long as the yellow wave 3 holds the bulls down we will continue lower. Despite the bears still being firmly in command, I get a little more worried each day as we reach greater and greater levels of oversold that a major bull counter offensive is coming. 700 is a key level I am going to watch for tomorrow and if it is broken on strong impulsive volume (or looks like it is going to be) I am going to issue a full retreat to all remaining troops. Tomorrow is going to be one of those days where I have every position fired up ready to sell at a click before the open. The key with issuing that big final retreat is to be one of the first ones to bail when the tide turns. 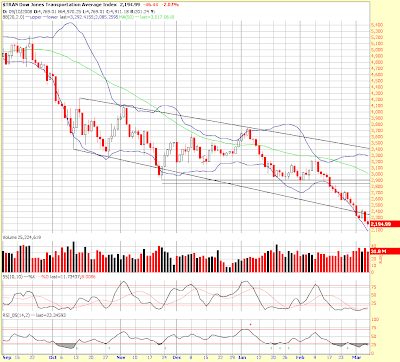 At this stage of the recent decline I want no part of still being short over 700. I'm not sure if I will look to play the bounce long or not if it comes, but there is no need to take short pain on both a channel break, horizontal resistance break, and 700 will also be some important hourly moving averages in the early going tomorrow. 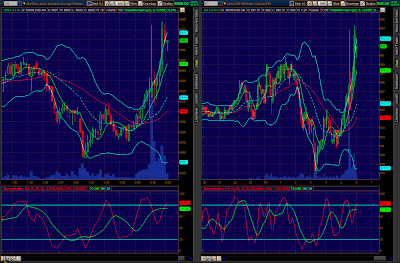 You can always reshort if it ends up a throwover and we break back beneath 700. Now that your ready to run for the hills first thing in the morning on a breakout, the opposite could still happen and we continue to tank or even crash. If that happens, I'll continue to pull back troops at each stair step lower. We are working an Elliott wave count that’s almost done if we are correct, but we also see an alternate version of the count that would be much more bearish. 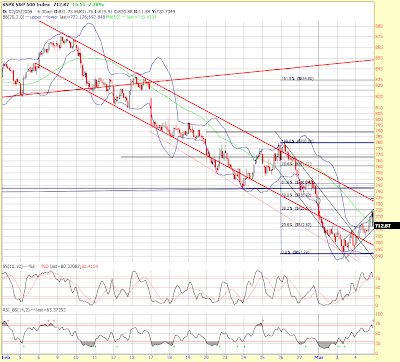 We’ll have to see what the price action brings and be ready for either scenario. Thanks Doc! Oh, by the way… the General doesn’t want to have issue the retreat call for his troops, he’d much rather have the enemy troops surrender! 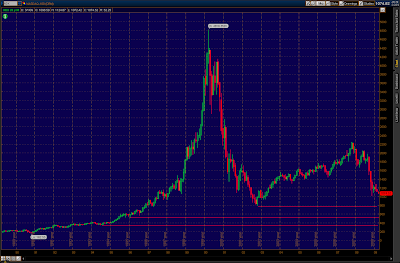 The last time stocks were in this range was the year 1996, sad but true. And this week we’ve seen two letter ‘G’ titans, GE and GM get sent even further back in time. GE was last at its current $6 level in 1992, but my chart for GM goes back to 1968 and we are way beneath any other low on the chart. Sad, but true. On the day, the DOW lost 281 points or 4.1%, the S&P Lost 4.3%, the NDX lost 3.2%, and the RUT gave up 5.9%. 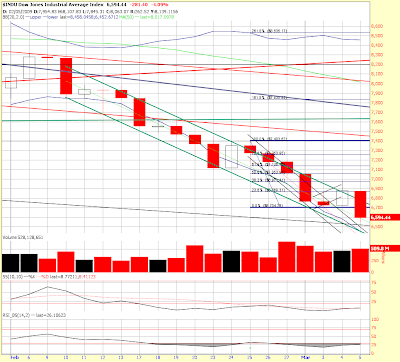 Transports continue to crash, giving up 6.8% today. 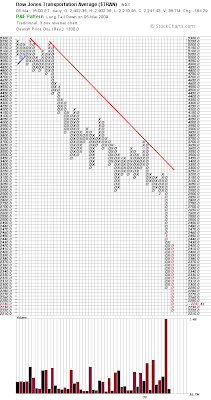 Banks got nailed hard too, the XLF was down 9.4% all the way to $6.24! Sad, but true. Internals were horrific again with decliners 11 to 1 over advancers and declining volume at just under 94%, our 4th 90%+ down day in two weeks. New highs rose to 728 on the NYSE. Meanwhile our leadership in Washington is clearly lacking. The truth is that in the end it won’t really matter as the math says that the destination for our economy is pretty much assured to be negative, but they sure are working their hardest to make it worse. The monthly jobs report comes out tomorrow morning, so be ready for that. I hate repeating the CNBS mantra, but it’s true that a bad report is probably in the cake already, so the surprise would be a better than expected report (manipulated of course), so be nimble. 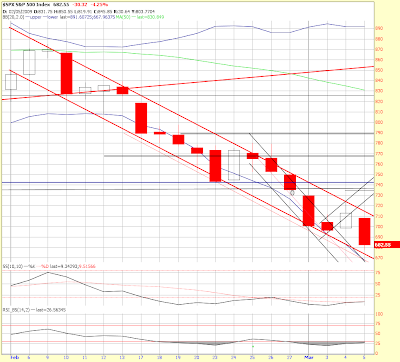 I believe we are nearing the end of wave 3 down of 5 down. That wave can extend, or it can end at anytime. Once it does, I expect a higher level wave 4 up/sideways that could last a couple of weeks as that’s about how long wave 2 of 5 was. McHugh has a turn date on the 13th of this month, and more declines are possible, but we may need to work the oscillators off oversold a bit first. So, the long term picture is simply a nightmare for our country and for the world. In the short term we could have put in or be close to putting in a short term bottom for a wave 4 bounce, but we are in crash mode, so we have to expect anything. 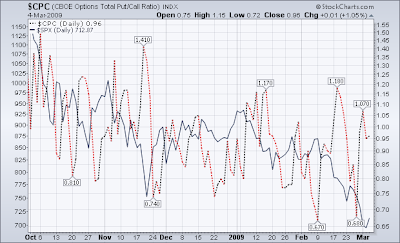 I find it interesting that the put/call remains in the neutral range and that the VIX has been so calm. As Doc says, wave 5’s are grinding affairs… he also said that as he watched the markets he kept hearing Metallica’s tune “Sad, but True” in his mind! I figure that’s pretty appropriate as it also comes from the early to mid ‘90s time frame, same place as the market – sad, but true. 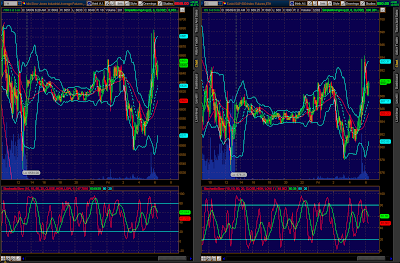 Futures are down considerably this morning with the /ES presently at 692, down about 20 points. 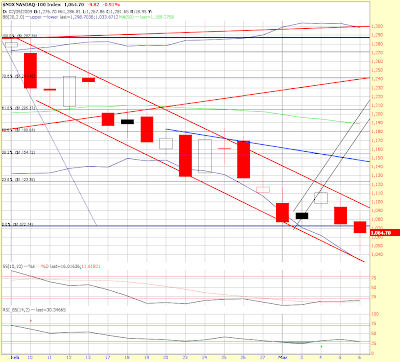 That's a huge gap move, very difficult if you were not positioned for it at the close yesterday. GM is questioning its own survival, adding pressure to equities, and weekly jobless claims fell 31,000 to 639,000 for the week. (cnn)For the week ended Feb. 28, 639,000 Americans filed initial jobless claims, down 31,000 from the 670,000 claims reported the previous week. Economists polled by Briefing.com expected 650,000 claims. The number of Americans continuing on unemployment insurance dropped by 14,000 to 5,106,000, edging off the record high set the prior week. Wal-Mart reported substantial sales gains for last month citing lower fuel costs as giving consumers more to spend – lol. How about people who would otherwise prefer to shop somewhere else are left with no choice? 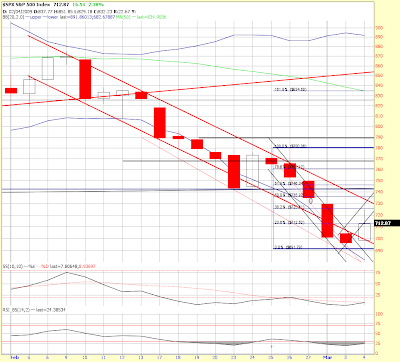 We’re beneath the 696 pivot, the next lower is 644. 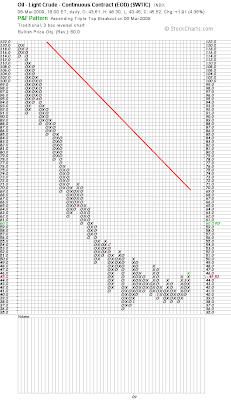 On the TOS chart with overnight action I see a potential ending diagonal, but that is not apparent without after hours action. 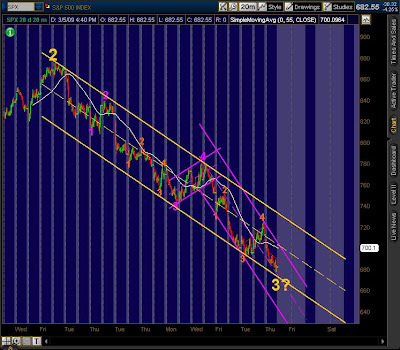 I think you need to get protective with this move as my count has us being in wave 5 down of 3 of 5. I would expect about two weeks of wave 4 prior to the next wave, but I don’t exclude further declines knowing that wave 5’s can extend. And, it’s also still possible that we are making an abc off the bottom two days ago… we won't know for sure unless the prior low is taken out. Wow, a good shot of whiskey sounds in order after a day like that! But not to worry, I’ll wait until AFTER the update, lol. Hey, try calling the market for tomorrow and you may need one too! Okay, on the day the DOW finished in the green by 149 points (2.2%), the S&P gained 2.4%, the NDX rose 2.7%, and the RUT led the advance gaining 2.9%. 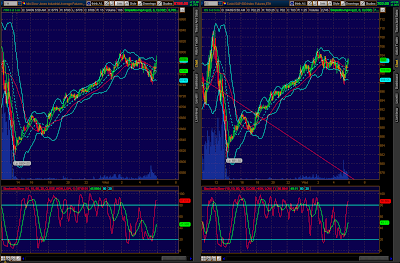 The XLF diverged against the market by losing 1.3%. WFC and JPM were downgraded sending them both down between 8 and 10% (gee, did Buffett exit WFC just before his other company issued the downgrade? Nawwww…). And of course after the financials were beat down earlier in the day they come on CNBS to float the RUMOR that mark-to-market suspension is a possibility as it’s going to be looked at next week and “if that happens the entire financial sector could double in a matter of hours!” LOL… What a blatant game. If you look at the key financials, immediately following that “announcement” the volume picked up heavily and the attempted rally didn’t happen because all the volume was met with selling pressure. That’s called DISTRIBUTION, as the people who floated that rumor were probably exiting their positions on that “news.” Hey, hate the game, not the player – I’m just reporting my observations, take ‘em for what they are. 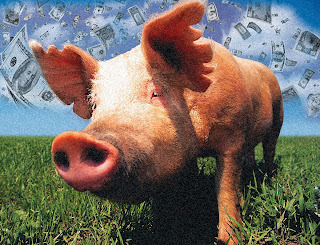 Oh, and I LOOVE how Pigman extraordinaire, Bill Gross, gets on CNBS to pump GE and tell everyone how there’s no way GE’s going out of business. Of course he owns hundreds of millions in GE bonds! Oh, and his appearance is immediately followed by a PIMCO commercial! LOL, I am thoroughly disgusted that this type of BS is even allowed to happen. Oh, AND he is being hired by the government to run some of the bonds that are now owned by the taxpayers! I’m telling you, this is a huge part of how we got into this mess and why I think that corporations have no business involved in government AT ALL. In fact, anyone who owns any position should not be allowed to comment on that position in public. Free speech is fine, but manipulating people, robbing them blind, and wrecking our financial system is not. Oh, and the President’s housing plan. I’m not even going to go into the details that were released today. Sickening. You’ll hear about them elsewhere. And we’ll all be paying for it, that’s for sure. No accountability anywhere. And the real benefactors are the banks, not the home owners. Internals obviously improved today with advancing issues 4 to 1 over decliners and about 70% of the volume on the up side. New lows were cut in half from yesterday. 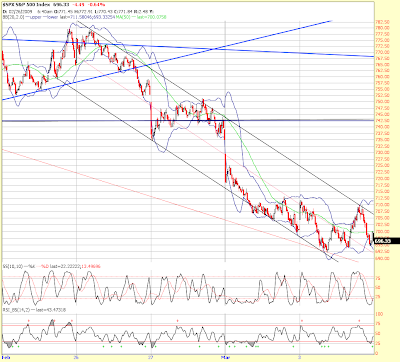 Bonds moved lower on the day, but TLT still has not fallen into that open gap. Tomorrow should offer some clarity on where we are. We need confirmation on whether the small level wave 4 just completed or we have begun a higher level correction that may produce a higher level wave 4, possibly starting with an abc move. My thinking is that we still have more downside, but I don’t eliminate the possibility that wave 3 of 5 has ended and that the higher level wave 4 is in progress. Job Forecast for College Grads Grim – If Only There was a Brain Behind the Curtain! Smith College's career office sent its jittery job-hunting seniors a letter last month with a reassuring message: "There ARE jobs, and you can find employment." Unfortunately, there are far fewer jobs than anticipated, according to a report out today from the National Association for Colleges and Employers (NACE). The companies surveyed for the group's spring update are planning to hire 22% fewer grads from the class of 2009 than they hired from the class of 2008, a big letdown from the group's projections in October that hiring would hold steady. Some 44% of companies in the survey, conducted last month, said they plan to hire fewer new grads, and another 22% said they do not plan to hire at all this spring, more than double last year's figure. "If you were a student and were out there [interviewing] in the fall, you probably had a decent chance of getting a job," says Edwin Koc, director of strategic and foundation research at NACE. "But frankly, the spring does not look good." Job prospects for college grads, which had been on the rise since 2004, dropped in virtually every sector this year. The most dramatic decline was, not surprisingly, in finance, which hemorrhaged 71% of expected job openings. Less expected but equally troubling is the 37% decline in hiring for professional services, which include accounting and engineering. "Poor hiring estimates from this area speak to the depth of the recession in the college labor market for the class of 2009," the report says. Government is essentially the only industry planning to hire more new grads this year than last, as the new Administration expands and a graying workforce retires. (The only other sector with plans to increase hiring — that of distribution, transportation and utilities — had too few respondents for the projection to mean much.) The uptick in government recruiting is obvious to students. Last year, notes Dorothy Kerr, executive manager of Rutgers University's career services, there were just 15 government and nonprofit employers at the annual Big East Career Day in Manhattan's Madison Square Garden; others were kept out to make room for 135 private-sector employers. This year, just 80 private companies signed up for the March 13 event, where 30 federal agencies will be on hand accepting résumés. "The good news is, the Federal Government is definitely hiring," Kerr says. Still, according to the NACE report, the projected increase is less than 6%. Not only are fewer companies hiring, but more of those with openings are offering internships instead of full-time spots. Only a third of on-campus recruiters this year are looking to sign both full-time employees and interns, the report found, down from an average of two-thirds for the classes of 2007 and 2008. And 16% of employers will be hiring only interns, nearly double the percentage that did so last year. 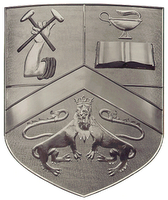 "I explain to [the students] it's like taking another course, and paying to take that course," says Middlebury's executive director of career services, Jaye Roseborough. Experts say more college grads may seek employment in fields that require comparatively little education. "Even if you're surviving by being a coffee barista, it's still better than just staying home," says Koc. "With the job market as difficult as it is, I don't think that students have much of a choice." Still, serving lattes for minimum wage plus tips is a painful prospect to the average college student, who graduates with $21,000 in the red. Tuition costs could also explain why graduate schools, traditionally a refuge in tough economic times, have seen uneven application numbers this year. Lance Choy, director of the career development center at Stanford, notes that grad schools were a popular backup a few years ago during the dotcom bust, but applications are flat this year. "Who needs more debt when the job market is looking rather grim?" he says. Meanwhile, schools are pulling out the stops to help students beat out the competition. Counselors everywhere are encouraging students to turn to their alumni networks for help. The University of Maryland has conducted workshops with an emphasis on networking. The career office shared by Haverford and Bryn Mawr recently gave each senior 50 business cards listing their name and major. My own daughter is about to graduate from the University of Washington, and my son is about to enter college. Each generation worries about their children, how they will get educated, how they will afford housing… you know, how they will live the American in debt dream. It sure sounds nice when we talk of providing college for everyone, but is that really the best use of society’s resource? Do you need a college degree to work at Wal-Mart? No, no, I’m serious! Can we all be leaders and executives? Of course not, but MY KIDS are different and special and deserve nothing but years of college because they are our future! In all seriousness, if you take it to an extreme then you start to see that not everyone should go to college. And let’s face it, college has gotten very expensive. The economy is currently separating the wheat from the chaff. That’s what economic downturns do. There will be FEWER people going to college in the future as spending thousands doesn’t number out for everyone in these circumstances. Thus the price of education will come down too, and that’s a good thing in the long run, but the current set of graduates are going to suffer a little in the short run. Admittedly if you are going to spend taxpayer money that doesn't exist, I'd rather put it into college than into the banks! But do it too much and you risk reinflating the "education bubble" and not letting the free market (if such a thing still exists) bring the costs down. 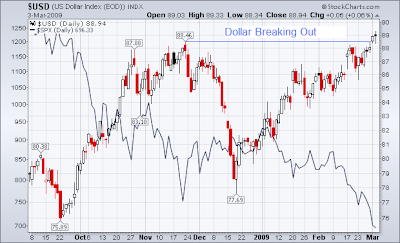 Bonds are dropping reinforcing the move and the Dollar has pulled back beneath its breakout range. That could just be a gap fill, so we are in a tricky spot. 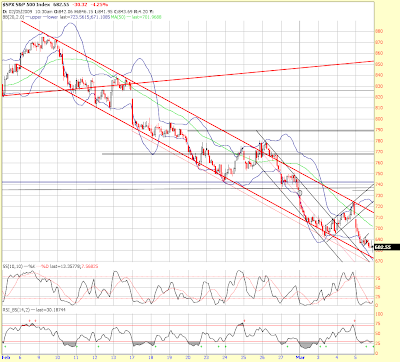 Watch the channel and assume that the larger wave 4 may have started should it break. 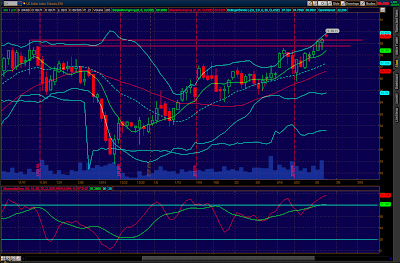 Yes, it may overthrow a little, but if we exceed 710, the last peak, then something more than an overthrow is likely. Also, the ADP employment data came out this morning and was worse than expected and worse than last month. I don’t trust their data at all, but part of the report showed that the announced layoffs last month actually went down. Of course one month’s data by itself is not a trend reversal, but the market will take whatever news it can to rally on. So, I think that the dollar pulling back also has to be respected if it stays beneath the breakout point as that could produce a double top on the charts. I’ll say this, though… if the larger wave 4 does come here it will come off of a put/call ratio that is too bullish to run too far. We’re at 707 now, beginning to poke out of the channel. 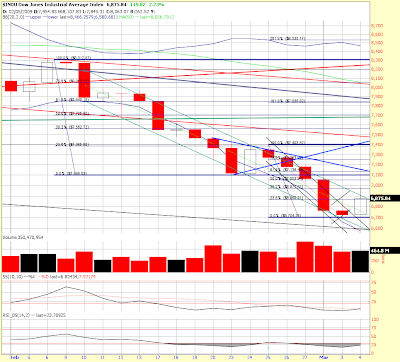 Day to be careful of… we could get a rip roaring rally, but we could also overthrow and dive. Pivot below is 696, 717 is a pivot but thin, and there’s an open gap from 730 to 735. News out this morning of a bear fund manager (Leuthold) saying he’s now going long, that the depression will be avoided and that stocks will finish the year above 1,000 on the S&P. Yeah, okay… its fun watching where people who don’t do the underlying math call bottom. Yes, there will be a bottom in here, but no, I don’t believe it will be THE bottom as the necessary actions are not yet in place. By my count, wave 5 is not complete, we should still have wave 4 and then wave 5 of 5 to go. But again, wave 5’s can be any length. We find support on a rung of the ladder, we draw people in and move up/ sideways for a while, then we fall to the next rung on the ladder. Personally, I don’t know which rung on the ladder will be the last, but I’ll wait to get bullish until the long term indicators such as DOW Theory and the moving average crosses say that it’s time. Now that’s for position plays. For very short term stuff, that’s not what I’m talking about there. I’ll leave it at that. Non-Manufacturing ISM comes out in a few minutes. Have a great day, I’ll be updating in the thread, let us know what you see. So how do the Aussies affect the U.S. dollar if their currency is not a part of the dollar basket? These six currencies represent 20 countries, 15 of which comprise the countries within the Euro. Over the past few years the Aussies, along with Iceland as the most notable, kept their interest rates artificially high to attract foreign capital via the carry trades. As deleveraging has occurred, those carry trades have unwound, adversely impacting the carry trade destinations (carry trade is simply borrowing money in a country at a low interest rate and “carrying” it to a country with a high interest rate to profit from the differential). 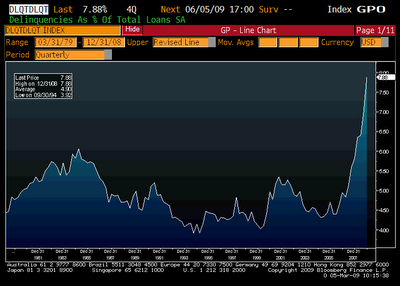 Now, with their economy shrinking, the Reserve Bank of Australia just decided to keep interest rates relatively high. That is now perceived as putting their economy at further risk and thus money is scared and flees into the dollar – thus the dollar goes up even though Australia is not in the dollar currency basket. March 4 (Bloomberg) -- The dollar rose to the highest level in almost four months against the euro after a government report showed Australia’s economy unexpectedly shrank last quarter, boosting demand for the U.S. currency as a refuge. The greenback climbed versus all 16 most-active currencies as Australia’s gross domestic product contracted 0.5 percent in the fourth quarter from the previous three months, compared with economists’ estimates for 0.2 percent growth. The Dollar Index rose to the strongest since April 2006 on speculation Federal Reserve officials today will reiterate the need to expand aid to the banking system. The dollar climbed to $1.2495 per euro as of 11:35 a.m. in Tokyo from $1.2561 late in New York yesterday. It reached $1.2457, the highest since Nov. 21. The greenback rose to 98.49 yen from 98.16 yen. The currency appreciated to $1.4026 from $1.4050 against the British pound and advanced to 1.1811 Swiss francs from 1.1760. The yen strengthened to 123.03 per euro from 123.31. Japan’s currency rose 0.6 percent to 15.71314 versus South Korea’s won and advanced 0.5 percent to 62.29 against Australia’s dollar from late in New York yesterday. The Dollar Index, which the ICE uses to track the U.S. currency versus the euro, yen, pound, Swiss franc, Canadian dollar and Swedish krona, rose as much as 0.8 percent to 89.624 as investors sought shelter in the world’s reserve currency. Australia’s fourth-quarter GDP figures are “sobering,” Treasurer Wayne Swan said today in Canberra after the report. The Reserve Bank of Australia kept the benchmark interest rate at 3.25 percent yesterday, after cutting rates by four percentage points since September. The U.S. currency advanced for a fourth day against the euro on speculation Dallas Fed President Richard Fisher and Atlanta Fed President Dennis Lockhart will today reiterate the need to increase financial assistance to the banking system. Fed Chairman Ben S. Bernanke said yesterday in testimony prepared for the Senate Budget Committee that policy makers may have to expand aid to banks beyond the $700 billion already approved and take other measures even at the cost of soaring fiscal deficits. Dallas Fed’s Fisher speaks at 8 a.m. in Fort Worth, Texas and Atlanta Fed’s Lockhart speaks at 12 p.m. in Miami, Florida. Gains in the yen may be limited after an aide to Japan’s opposition leader was arrested in a funding probe, signaling further political turmoil in the nation. The senior aide to Ichiro Ozawa, head of the Democratic Party of Japan, was arrested on suspicion of receiving illegal political donations from a construction company, local media reported yesterday. “I did absolutely nothing illegal,” Ozawa told reporters today in Tokyo, vowing to stay on as leader. “There is still instability in Japanese politics,” said Ryohei Muramatsu, manager of Group Treasury Asia in Tokyo at Commerzbank AG. 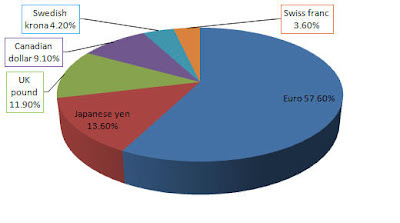 “This may increase foreign investors’ negative perception of Japan. The yen is likely to be sold” to 98.70 against the dollar and 124 per euro today, he said. Japan’s currency had its worst month in February since 1995 after a government report showed the world’s second-largest economy shrank the most since 1974 last quarter and Finance Minister Shoichi Nakagawa quit amid accusations he was drunk at a press conference, eroding confidence in the government. 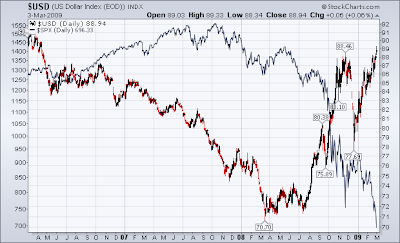 As you can see from the charts above, equities suffer when the dollar rises. Even though Bernanke and company have the dollar creation going strong, there is a shortage of dollars as deleveraging occurs. Dollars are needed to pay down debt that is denominated in dollars as most of the world’s debt is. 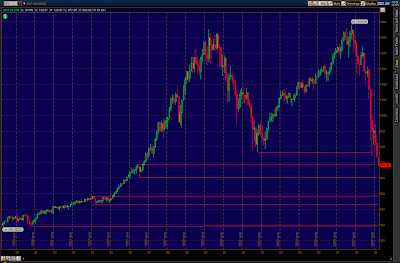 If that 112 dollar target is reached, equities are going to be down, as in way down under. This is, quite frankly, yet another piece of technical evidence showing that the disastrous pennant targets are in play (sub 300 on the S&P). With their economy slowing, the men at work in the land Down Under have their work cut out for them and what goes on Down Under affects the entire world in this age of interconnectedness.